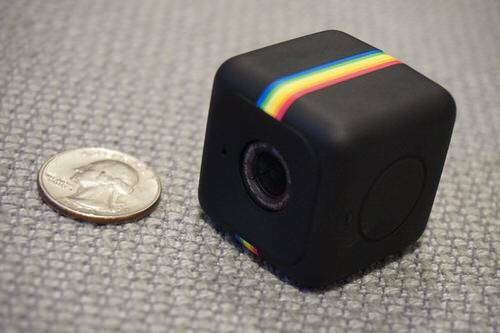 If a mobile camera app icon manifested into a physical product, it would be the new Polaroid Cube. And judging by the looks of this wee little box, the action camera might just win over plenty of hearts, helmets and handlebars. The Cube, which starts shipping next month, offers 1080p video recording and a retro-fabulous aesthetic for a price tag of $99. That’s half the price of a base model GoPro, the leading brand that defines this category. 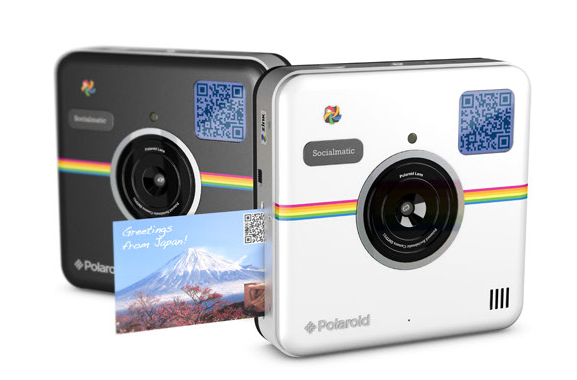 Polaroid seems to have the makings of a mainstream hit. That’s no accident. The company hired design house Ammunition to mastermind the Cube, and says Robert Brunner, Ammunition’s founder and partner, the mission was clear: Take a device with decent technical chops and turn it into a fun, clever product that people would want. That’s not easy to do in a niche owned by GoPro and fleshed out with others, including cheaper knock-offs and also-rans. But Ammunition and its client have one thing that the others don’t: nostalgia. And they’re milking it for all it’s worth. An elder statesman in consumer photography, Polaroid scored major retail hits with instant film cameras dating back to the 1940s. But the aging brand couldn’t overcome the onslaught of digital cameras that would later arrive, leading the company to go bankrupt not once, but twice—in 2001 and again in 2008. And yet, the camera maker managed to survive. Now it appears to be pinning its hopes on one itty bitty device. First introduced at the Consumer Electronics Show as the Polaroid C3, the Cube now readies itself for its public debut in October. I got a chance to take a look at this action camera, and one thing became clear to me: This is no GoPro. In fact, anyone expecting a fierce competitor to that high-octane camcorder will be disappointed. Apart from high-resolution video capture, at 720p or 1080p, the rest of the hardware specifications are rather mediocre: 6 MP sensor for still photos, support for 32GB microSD cards, 90-minute battery life, 124-degree wide angle lens and an (optional) waterproof case up to 10M. GoPro tops them all. But that may be an unfair comparison. The Cube isn’t targeting the adrenaline junkies or extreme athletes served by GoPro, Mobius and other competitors. “Other cameras in the action space come from an extreme sport perspective, but for a lot of people, that can feel intimidating,” said Brunner. “We felt this product needed to be more accessible.” Think bike rides and snorkeling, not high-elevation mountain biking and cliff diving. For those scenarios, the specs will probably suffice for most people. The relatively affordable $99 price helps make the case. So does ease of use. To make things even easier, the Cube—which also features a LED light and microphone—offers a single button on top that turns it off and on, and acts as a shutter. On the bottom, a built-in magnet lets users attach it easily to lockers, bike handlebars and other metals. Extra mounts, like a helmet attachment, are also available. My favorite is the monkey mount. I have no idea what this item is for, and I don’t really care. I just know that I want it. If the price, specs and ease of use don’t attract interest, the camera’s looks probably will. 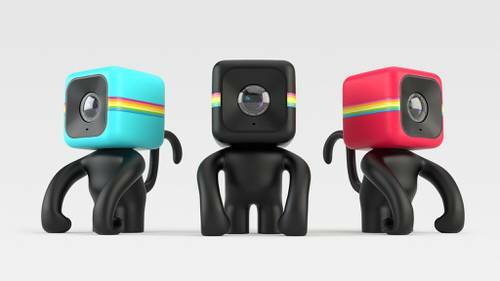 The fun, laid-back approach to design eschews the bland, no-nonsense design of GoPro and others of its ilk, opting instead for a grippy, rubberized shell decked out with Polaroid’s signature rainbow stripes. Does that seem familiar? It should. It’s a common app icon theme that smartphone photographers are already acquainted with. Those spoiled by the advanced features of their smartphone cameras will find one major omission here, though: wireless connectivity. There’s no Bluetooth or Wi-Fi support in that teeny box—which means there’s no remote shutter to snap photos, and users can only download pics and videos by connecting it via USB to their computers. Somehow, though, the lack of connectivity could be passed off as a quirk—a throwback to yesteryear that actually fits with the Cube’s retro persona. Plus, if some would-be customers really want wireless features in a Polaroid that looks like a smartphone app, the company won’t necessarily lose business. Its long-awaited Instagram-styled, sharing-oriented Socialmatic camera should be ready early next year. As for the Polaroid Cube, it arrives in October, which is plenty of time for the holiday season. And could you imagine a more charming stocking stuffer than this? 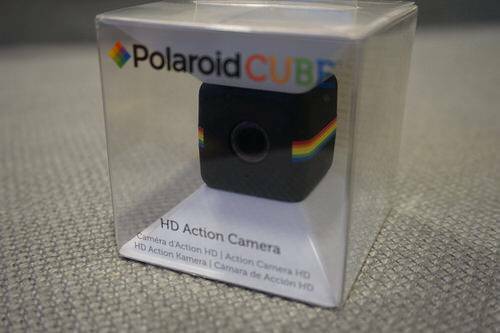 For more information, check out the Polaroid Cube product page online or play the company’s summer promo video, below.